Have you ever been traveling and your cell phone goes dead? Then realize that you don't have a phone charger with you? I don't like that feeling, I guess because of all thee "what ifs" that could happen and not be able to call anyone. I always try to make sure that my phone is charged and that I have a car charger with me. I want to tell you all about a good USB charger that I just recently got. 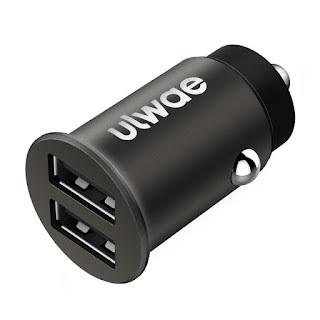 Ulwae USB Car Charger is compact and has 2 ports so you can charge 2 devices simultaneously. Ulwae cares about your devices, this charger intelligently detects and outputs the safest charging current (4.8 amps maximum) automatically to ensure 100% reliability and safety not only for your devices but for your safety too. 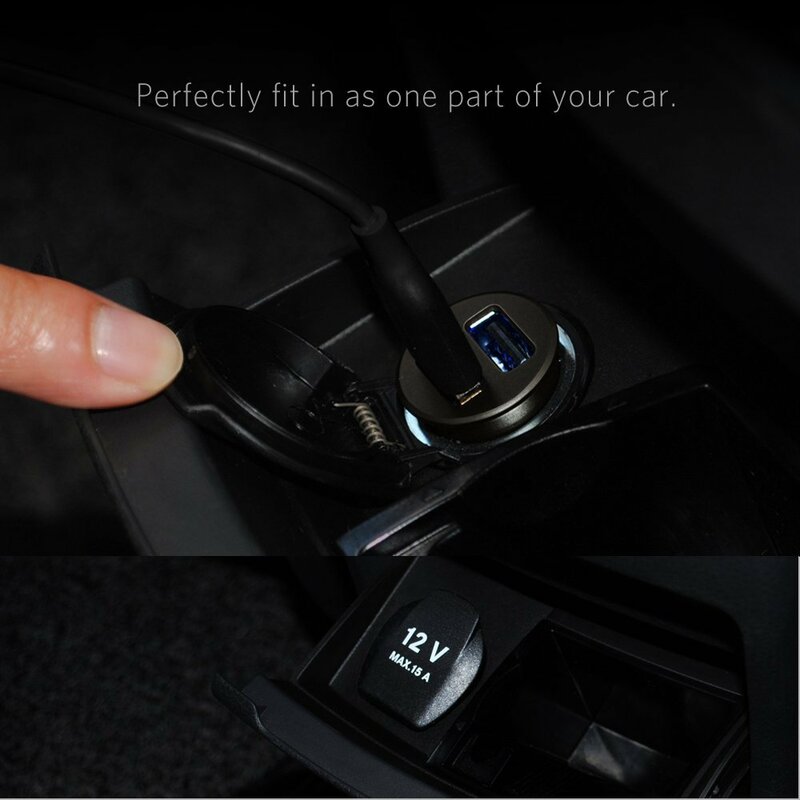 This is a fast charging charger, 48% faster than ordinary car chargers. Having 4.8 amps of output, 2.4 to each of the 2 ports. I really like that the charger doesn't protrude very far out when it's plugged in especially when it's plugged in the back seat terminal, so the kids don't bump it with their legs or feet. This USB charger is universally compatible and is designed to work with whatever charging needs you have, iPhones, Android phones , tablets, power banks, bluetooth headphones, etc. It has a compact design, it measures just 1.7 " X .96", so even if you carry it in your purse or keep it in your glovebox it sure doesn't take up much space.